The required steps to change the zoning on a piece of property can be found in Sec. 13. 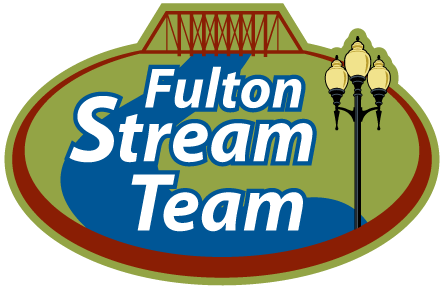 Amendments of Appendix A Zoning of the City of Fulton Code of Ordinances. (A) Generally. The council may, from time to time, on its own motion or on petition by the property owner, after public notice and hearings thereon as provided herein, amend, supplement, change, modify or repeal the regulations and restrictions as established herein and may change, restrict or extend the boundaries of the various districts established herein. Before taking action upon any proposed amendment, modification, change, restriction or extension, the same shall be referred by the council to the city planning and zoning commission for report and recommendation. 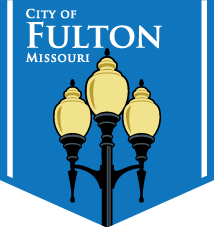 The council is the zoning authority for the City of Fulton; therefore, all applications for a zone change will be approved or disapproved by the city council. (1) Steps to obtain a zone change by petition. (a) The applicant discusses his proposal with the zoning official; in this discussion the opinions expressed by the zoning official in no way guarantees that a given property will be zoned accordingly. Likewise any discussion of zoning problems with any member of the city administrative staff is not to be construed as a zoning commitment. The final legal decision is made by the city council after receiving a recommendation from the planning and zoning commission. 1. An application form, copies of which are available in the zoning official’s office. 2. A check made payable to the City of Fulton in the amount of one hundred dollars ($100.00) plus the postage cost of mailing certified hearing notices to property owners within one hundred eighty-five (185) feet of proposed rezoning. 3. Accurate legal description for each zone district requested, and where practical, the street address. a. Complete dimensions of property(ies) for which rezoning is requested. b. Names of all owners or property within one hundred eighty-five (185) feet of the boundary of area(s) to be considered for rezoning. c. Present zoning and generalized land use on tract(s) in question and all adjacent tracts. d. The size and location of all exiting utilities and easements, including storm sewers across the particular tract(s) of land, and indication of how property is to be served if utilities are not available on the tract(s). e. All adjacent streets and alleys, including names and width of dedications. f. North point, scale and date. g. Any other information requested by the zoning official. (c) After the zoning official has determined that the application and supporting documents meet all requirements, a public hearing will be set by the zoning official or the planning and zoning commission at their next regular meeting. (d) At least fifteen (15) days prior to the public hearing before the commission, the proposed zone change is advertised in a daily newspaper, and subject property is posted by the zoning official. (e) The applicant and all owners of property within one hundred eighty-five (185) feet of the area to be rezoned are notified by certified mail of the time and place of the public hearing before the planning and zoning commission. (f) At the meeting of the commission at which the public hearing is held, all interested parties should be present. (g) At the public hearing, the commission will either make a recommendation to the city council for or against the proposal, or continue the hearing to a future planning and zoning commission meeting. (h) The recommendation of the planning and zoning commission is forwarded to the city council at its next regular meeting, at which time they shall hold another public hearing on the proposed zone change. (i) Following the public hearing held by the city council, the council will then take action on the proposed zone change. (B) Protest. If a protest against such amendment, change, modification, repeal, restriction or extension shall be presented, duly signed and acknowledged by the owners of thirty (30) percent or more, either of the land (exclusive of streets and alleys) included in such proposed change or within an area determined by lines drawn parallel to and one hundred eighty-five (185) feet distant from the boundaries of the district proposed to be changed, such amendment shall not be passed except by three-fourths vote of the council. (C) Notice of hearings. No action on an amendment, change, modification or repeal of this ordinance shall be taken until after a public hearing in relation thereto, at which parties in interest and citizens shall have an opportunity to be heard before both the planning and zoning commission and city council. At least fifteen (15) days notice of the time and place of each such hearing shall be published in an official paper or a paper of general circulation in the city. The detailed ordinance can be found at municode and searching “zoning amendments”.